From Cornwall to the Burra copper mines in South Australia | Geelong Family History Group Inc.
Here’s your chance to join us at the Geelong Family History Group meeting on Wednesday 27th June 2018 at 7.30 pm – Belmont Library meeting room, High Street, Belmont. This Wednesday Max Beck will be talking to us about his gg-grandparents’ journey from Cornwall to the Burra copper mines in South Australia. Max wrote his book A Different Earth about this journey. 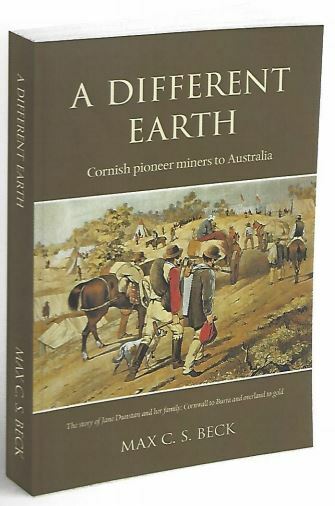 This entry was posted in Event, Family history, Family History Research, Local History and tagged A Different Earth, Burra, copper mines, Cornwall, Family history, Max Beck, South Australia. Bookmark the permalink.